This quilt kit includes the pattern and all of the fabric needed to make the 11" x 13" wall hanging, including batting, fusible web, and backing. Some of the fabric may be slightly different than that in the picture. This is one of 12 small monthly wall hangings that we have. The pattern comes with all instructions and full-sized applique patterns. This little machine appliqued quilt goes together quickly and easily. 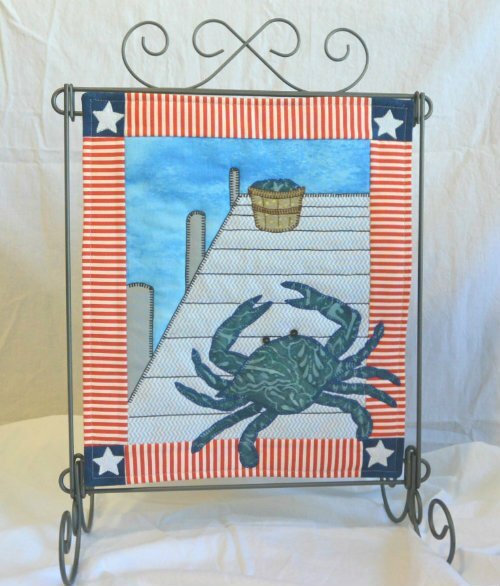 It looks great on a little quilt stand or quilt hanger.